While moss might make a woodland scene magical, it doesn’t do the same for your yard. Lawn moss tends to be an eye-sore, as it’s a slightly different shade than the rest of the grass on your lawn. The texture and height are also markedly different, moss being short and “fuzzy” looking, while grass grows in long, clean blades. 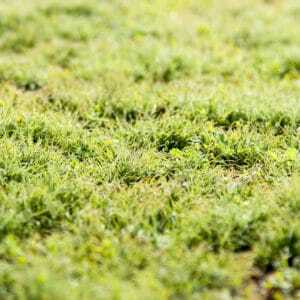 Get rid of lawn moss with these tips. 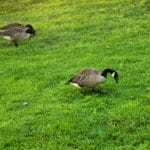 To get rid of lawn moss, make sure your grass can compete—a luscious lawn is an easy way to fend off issues. Add nutrients: Give your grass what it is craving the most. This might be as simple as using a regular fertilizer consistently throughout the growing season. Check The Soil pH: The problem might go down even deeper. 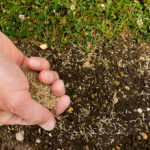 If your soil pH isn’t correct, your grass won’t grow as healthy as possible. Test your pH levels to see if that could be the culprit. Lawn moss thrives in a wet environment. 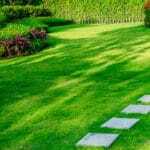 Get rid of lawn moss by checking your lawn is draining properly. If you see puddles after rain, this might be to blame. Take the time to aerate your soil to improve drainage. Lawn moss loves the shade but doesn’t love the sun. Trim your trees and shrubs so they block as little sunlight as possible from your grass. 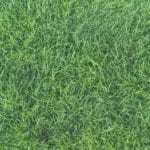 Also, you should plant grass types that grow well in full sunlight, including Bermuda grass, Zoysia grass, or tall fescue. You’ll know the sun regiment is working when the moss turns yellow and dies. 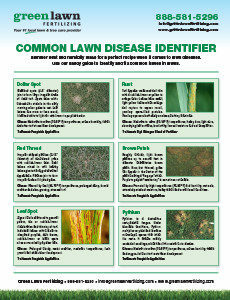 To help prevent and treat lawn moss, give the lawn care professionals at Green Lawn Fertilizing a call. Our preventative treatments will help prevent disease and provide your lawn with the correct type nutrients for combating lawn moss. Call us at 888-581-5296 today!